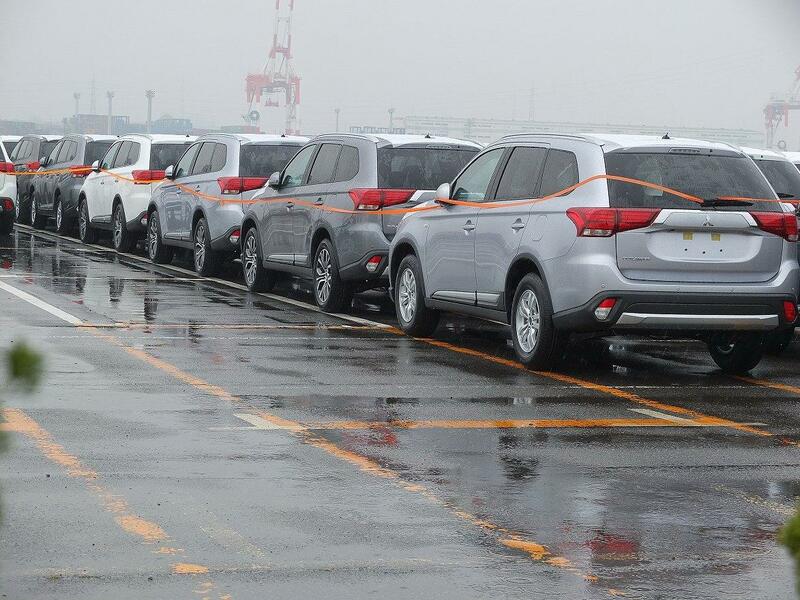 2016 Mitsubishi Outlander facelift has been spied. The car is scheduled to make it’s debut next month at the New York Auto Show. Even though the 2016 Mitsubishi Outlander has not been presented so far it was wearing absolutely no disguise. 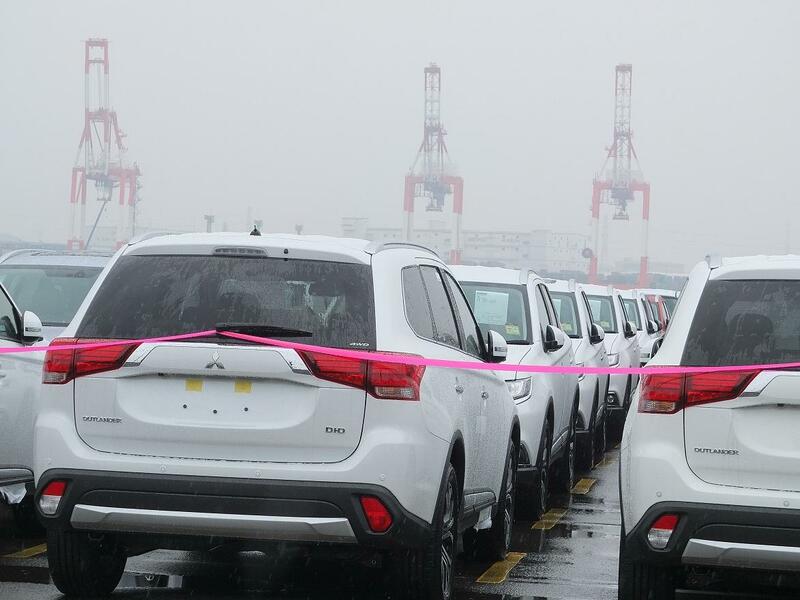 The much awaited for 2016 Mitsubishi Outlander facelift has been photographed in a port in Japan while being prepared for shipment. Officials from the company have already announced that interior changes regarding the car are expected. Basically thanks to the images we have we can see the important interventions that have been made so far to the car. The 2016 Mitsubishi Outlander facelift has bigger taillights that feature red graphics, chrome accents, a redesigned bumper and fog lights. As far as the front end goes we can state that pretty much it takes after the Outlander PHEV Concept-S. Under hood arsenal sounds good as 2016 Mitsubishi Outlander is expected to receive a refined hybryd system. Now the car runs on a four-cylinder, 2.0-liter gasoline engine with two electric motors and a 12 kWh lithium-ion battery. The curent version offers 143.5 mpg US (172.3 mpg UK or 1.6 liters / 100 km) with an electric range of 34 miles (55 km). In hybrid mode the maximum range is 547 miles (880 km). 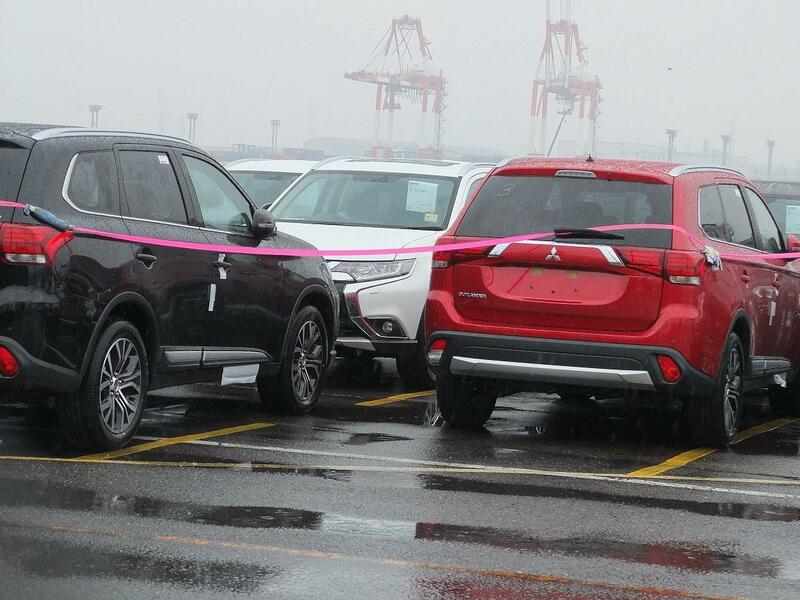 This entry was posted in Mitsubishi, Spy Photos and tagged 2016 Mitsubishi Outlander, Mitsubishi, Outlander, spied. Bookmark the permalink.